During his entire life, my father always said whatever he wanted trough his art. To him, making sculptures is building life again and again with the products molded with philosophy. His main philosophy always circled around love, balance and peace. 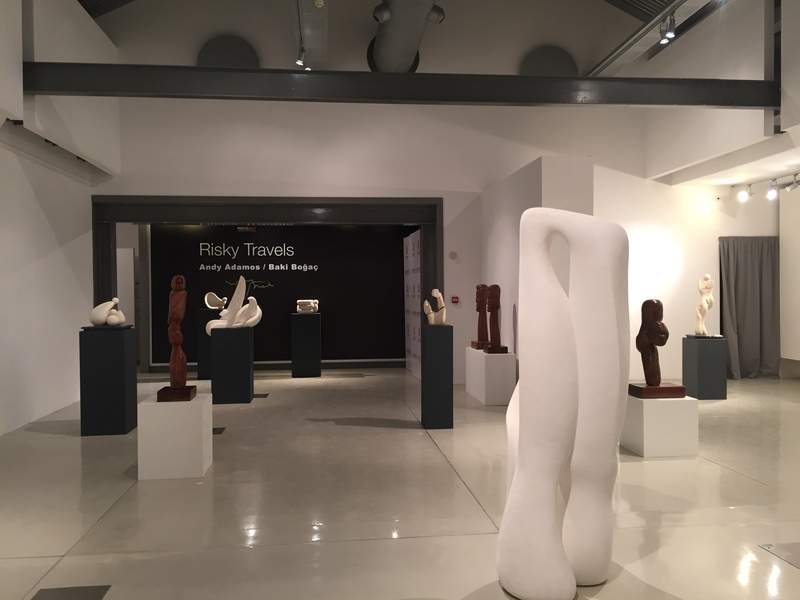 ‘Risky Travels’ displays the unusual story of how an artist (Turkish Cypriot architect and sculptor, Baki Bogac) found, saved and finally returned the works of a Greek Cypriot artist, Andy Adamos, who had left them behind in Famagusta after 1974. This a tale of not a heroic but a humanitarian act that he wanted to tell through his sculptures for so many years. 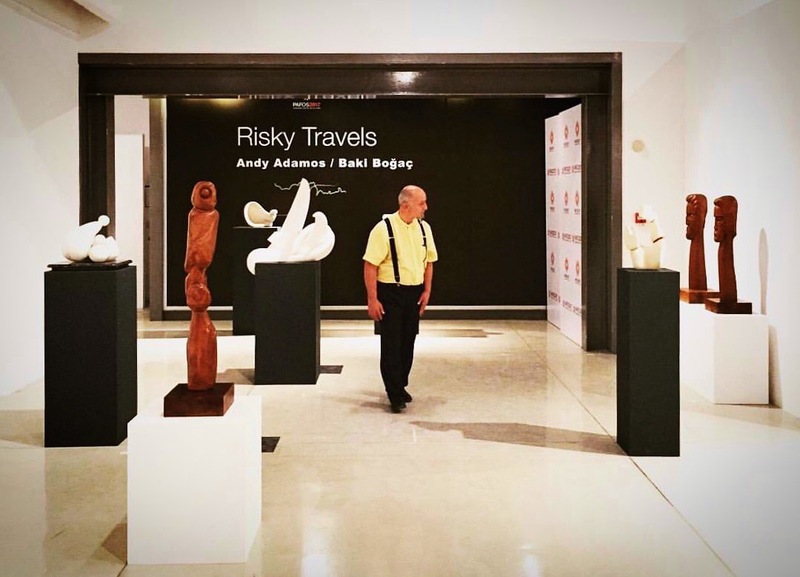 Discovered and saved sculptures, paintings, photos and other objects which Andy left behind in his studio in Famagusta, were delivered back to his family in Paphos after two decades. After Baki confided his story to the American Council’s Director, and during an art exhibition titled “Brushstrokes Across Cultures”, he asked for her help to deliver this collection to its rightful owner. The delivery took place in 1993, three years after Adamos’ death. The exhibition is curated by Sergis Hadjiadamos and Yiannis Sakellis and opened by the Greek Cypriot Leader Nikos Anastasiades on 5 May (2017) (that is the birthday of Baki) in the context of the European Capital of Culture Pafos 2017, at the old electrical authority building, Palia Ilektriki, in Pafos.